Take a virtual reality tour of a remote pristine cloud forest on the northeast coast of Papua New Guinea. Studying the elusive tree kangaroos of Papua New Guinea can be quite challenging. Conservation Scientist Lisa Dabek shares some of the creative ways she is able to track these fascinating animals. 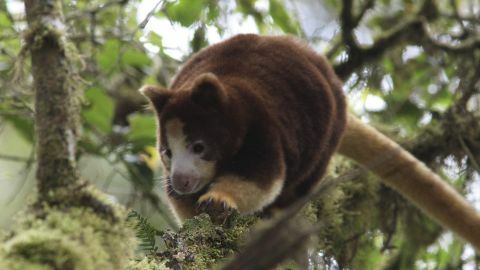 Meet the elusive Matschie’s tree kangaroo in the cloud forests of Papua New Guinea and discover how the local people are helping to protect this rare marsupial and its forest home. 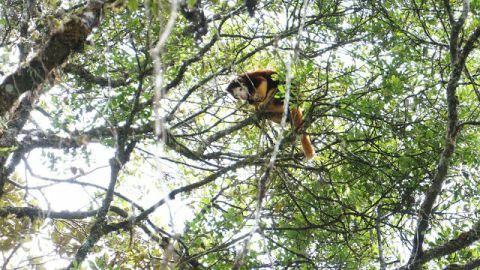 Follow Lisa Dabek and her team with Woodland Park Zoo’s Tree Kangaroo Conservation Program.